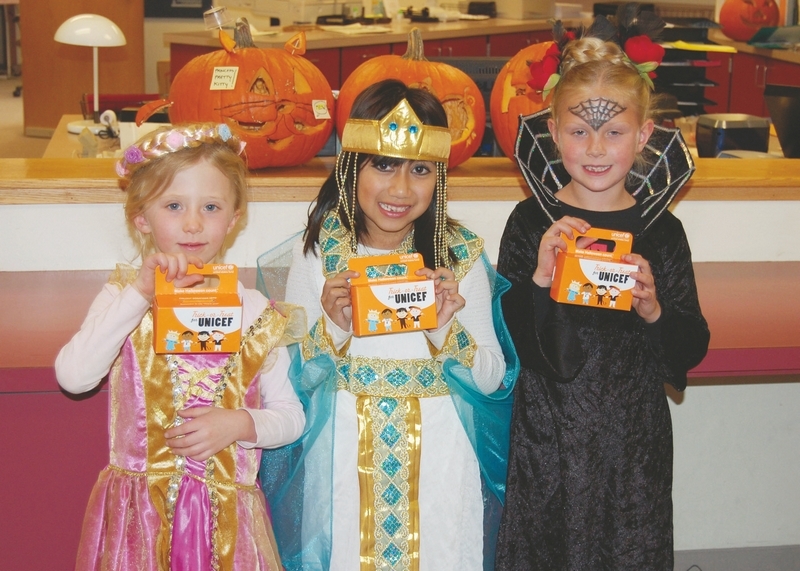 Courtesy Kathleen Jensen, GESGlenshire Elementary students (from left) Ava Shepp, Maddison Mendoza, and Dylan Klein make sure they have their "Trick-or-Treat for UNICEF" donation boxes before heading home on Halloween. TRUCKEE, Calif. –Even though it takes place on Halloween, the students of Glenshire Elementary School learn more about the spirit of giving than receiving when they participate in the annual “Trick-or-Treat for UNICEF” drive. This community service opportunity gives kids the chance to learn about the difficulties many children face and to understand that small efforts can produce big results when people work together. An annual tradition at Glenshire Elementary, this year’s UNICEF drive started on Halloween morning, when the entire student body gathered in the gym to watch an inspiring video message from UNICEF and to celebrate the ideals of peace, love and sharing. Later in the evening, when all those trick-or-treaters headed out into their neighborhoods, hundreds of Glenshire students chose to take along their orange donation boxes to collect donations in the form of spare change. Many students also made personal donations, breaking open piggy banks and combing through the sofa cushions, knowing that every little bit counts. On Nov. 1, the coins started pouring in! Some students emptied their boxes directly into a community pot, collecting a sticker for participating, but never knowing the exact amount of their donation. Others took donations to their classroom to be part of the morning’s math lesson; the students of Mrs. Markheim’s third-grade class were amazed to find those coins added up to more than $130. Eventually, local and neighboring businesses, like Wells Fargo Bank, Save Mart and Boomtown, helped the students at Glenshire convert all those small coins into a sizeable donation. When the process was finally complete, this year’s donation, including matched funds from UNICEF’s corporate donor program, was an impressive $3,582.35! Glenshire Elementary’s participation in the annual UNICEF drive is due largely to Principal Kathleen Gauthier’s desire to see students take an active role in service to others. She said, “The funding Glenshire students have contributed to UNICEF over the last 12 years has benefited children across the globe, but very importantly, being involved has benefited Glenshire kids. There is nothing like realizing you can make a difference, you can help others. I still remember the power I felt as I collected for UNICEF as a child.” Since Mrs. Gauthier’s arrival at the school in 2001, Glenshire students have raised more than $25,000 to help UNICEF provide emergency services, immunizations, education, better nutrition and safe water to less fortunate children in our own country and in more than 150 others. And, of course, all of those donations were made available by this community. 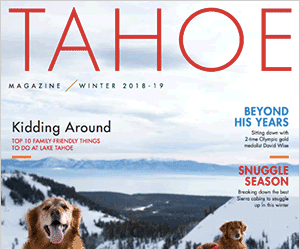 Thank you, Truckee, for helping to inspire and encourage our kids to make a difference in the world.